Why choose The Mexican Micro Speed Pads™? The "Fuerte" Mexican Micro Speed Boxing Pads™ are designed for developing punching speed and accuracy. The Micro-sized pad is ideal for perfecting professionals punching accuracy. The pads are an easy on/off fit for your hands, once your hand is bridged into the back of the focus pad. We would recommend these professional boxing pads for experienced pad holders & trainers that are teaching professional boxers. 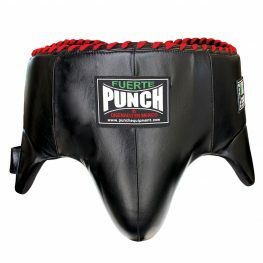 Browse the range of Mexican Boxing Equipment online at Punch Equipment. Catch punches from your clients. These are the bomb! Great for not only speed work but absolutely perfect for trapping drills. We teach JKD and use these pads for intricate trapping and punching set ups where space is limited. These small pads really are fantastic for this type of training! Excellent as always. Great quality and service. Precision Work only with these bad boys. Not for the Beginner!!!! Strong, extremely small, light and beautiful to use. Great for speed work with the pro fighter!!!!! Recommend these to any pro boxing trainer.